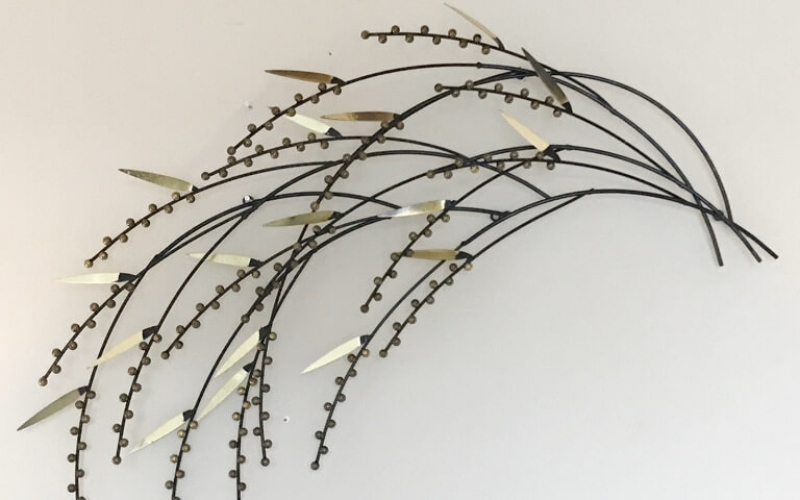 A stylish berry branch wall sculpture by listed artist Curtis Jere. 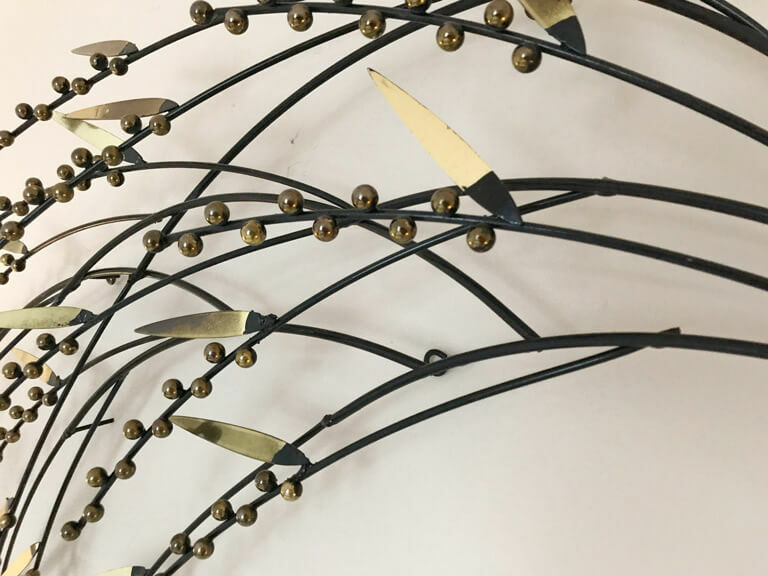 The sculpture features black branches arching to the left and has gold tone metal leaves and berries. 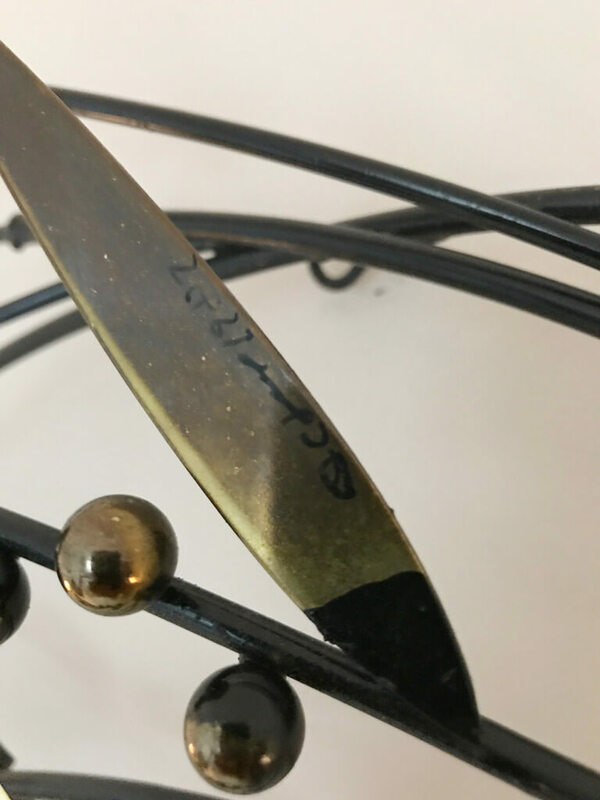 Signed to one leaf and has three hanging hooks to verso. 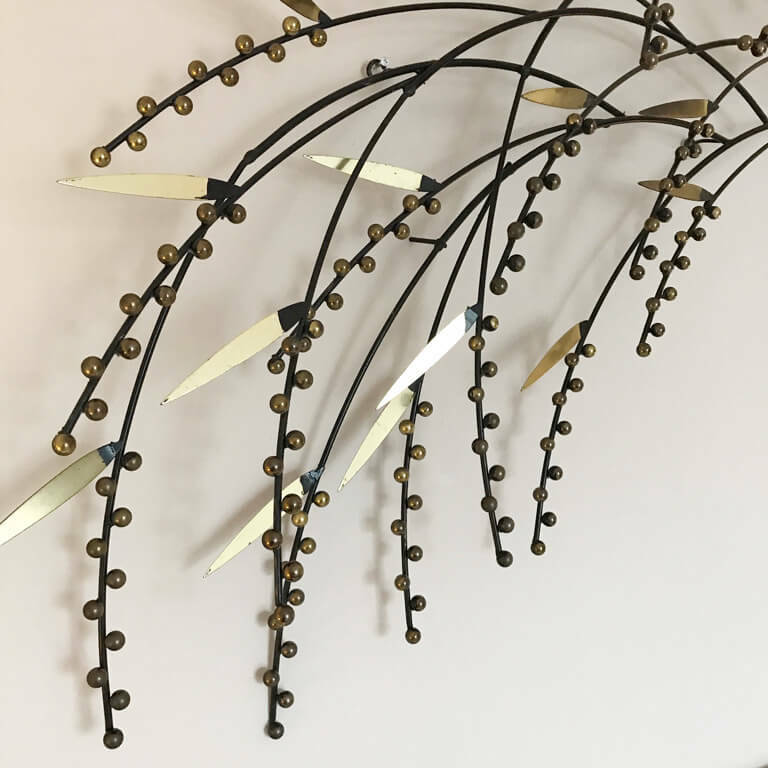 C. Jeré works are made and marketed by the corporation Artisan House. Curtis Jere is a compound nom-de-plume of artists Curtis Freiler and Jerry Fels. The two founders combined pieces of their own names to create the C. Jeré signature. Modernism magazine interviewed Jerry Fels shortly before his death in October 2008. According to the resulting article in the Spring 2007 issue of Modernism magazine page 116, the company was founded in 1963 by Fels and his brother-in-law Curtis (Kurt) Freiler. Freiler was the production chief and Fels was head of design. Their goal was to produce “gallery-quality art for the masses”.